Legacy applications can be a headache for organizations undergoing a digital transformation. Software developed on out-of-date platforms using older programming tools can be inflexible and difficult to change. How can organizations modernize existing applications that are still critical to the business? Although there is no single or one-size-fits-all strategy to migrate the legacy applications to the cloud, the right migration strategy depends on your organization’s goals, how your applications will align to them, and what value the applications bring to your business. Cloud Optimized Applications help organizations gain additional benefits even without altering or the significantly rearchitecting code. You can run your app with modern cloud technologies such as containers or through other cloud-managed services. You can also deploy the containers on PaaS or IaaS to databases, monitoring, cache as a service, and CI/CD (continuous integration/continuous deployment) pipelines. A competitive advantage: Cloud-native means switching cloud goals from IT cost savings to the engine of business growth. In the age of software, businesses that can quickly build and deliver applications in response to customer needs will build enduring success. Resilience: When legacy infrastructure fails, services can suffer. In a cloud-native world, teams focus specifically on architecting for resilience. A cloud-native focus helps developers and architects design systems that stay online regardless of hiccups anywhere in the environment. Flexibility: Public cloud providers continue to offer impressive services at reasonable costs. But most enterprises aren’t ready to choose just one infrastructure. With a platform that supports a cloud-native approach, enterprises build applications that run on any (public or private) cloud without modification. Teams retain the ability to run apps and services where it makes the most business sense—without locking into one vendor’s cloud. Aligns operations with the overall business: By automating IT operations, enterprises can transform into a lean, focused team aligned with driving business priorities. They eliminate the risk of failure due to human error as staff focus on automated improvements to replace routine, mundane admin tasks. With automated live patching and upgrades at all levels of the stack, they eliminate downtime and the need for ops experts with second hand expertise. The most significant stage of application modernization journey comes when application portfolios are streamlined and modernized to deliver on current business needs. Modernized applications are liquid– micro-engineered, cloud-first, and assembled rapidly using Platform-as-a-Service, which can enable up to 50% faster time to market. The approaches themselves are also modernized, with modern engineering practices like Agile & DevOps used to improve delivery efficiency and more quickly respond to business demands, providing the business with key competitive advantage. 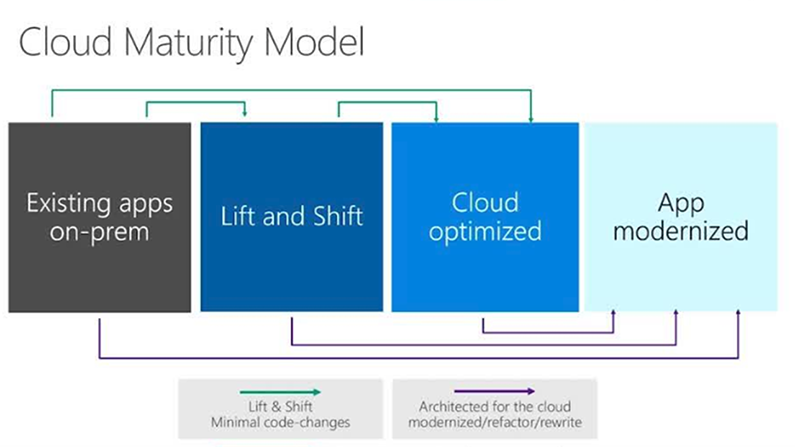 From the DevOps, IoT to business analytics, Microsoft Azure is a scalable and cost-effective solution for working with your existing legacy investments. Let Menlo Technologies take care of you. Click here to talk to an Azure expert. Microsoft Releases Azure Service Fabric Mesh. What’s in it for you?